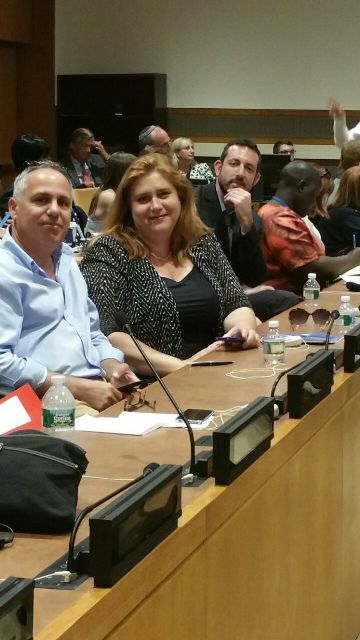 Access Israel's delegation participates in the United Nations' "ENABLE" conference. 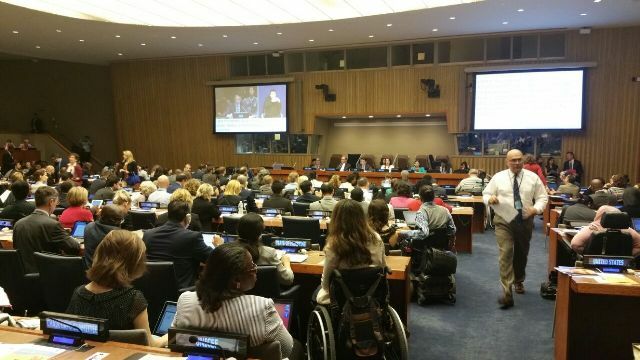 The delegation left Israel early this week (June 7th) in order to represent Access Israel at the UN's annual "ENABLE" conference. 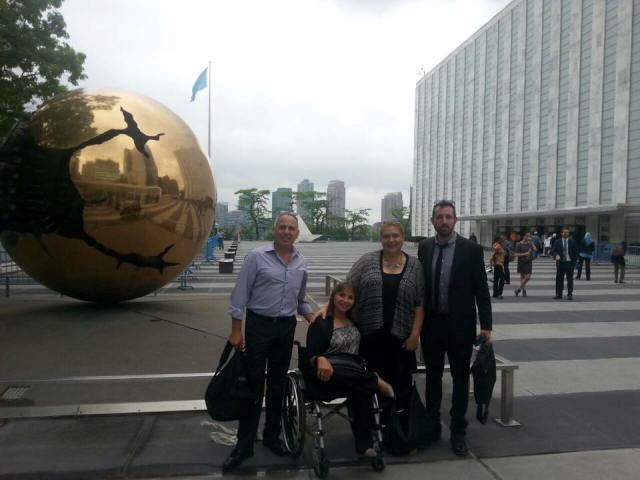 A delegation of eight, led by Access Israel's CEO Michal Ramon and Access Israel co-founder & Treasurer Rani Binyamini, was sent to the conference in order to increase international cooperation with associated bodies and authorities that abide by the CRPD – UN Convention on the Rights of Persons with Disabilities. By sharing information globally and learning from one another's mistakes and successes, we can forge a more accessible and more inclusive reality. Israeli ambassador and deputy permanent representative David Roet and his team including, Nelly Shiloh, Nadav Yesod and Michal Karmeli were great partners when preparing for the feast of senses made for 30 worldly UN diplomats. 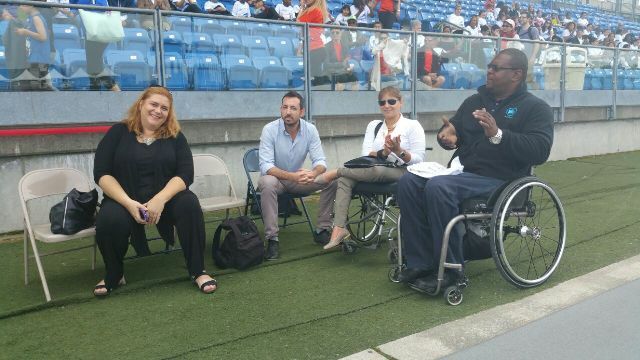 As part of the effort to present Israel's positive features to the world, ambassador Roet was glad bring this experience, flowing with the pure will to share, include and promote accessibility worldwide. The delegation also me up with consul general Ido Aharoni, in an attempt to promote international connections and find new, original and enriching ways to promote accessibility on a global scale. The consul general was impressed with Access Israel's achievements and agreed to aid in promoting its cause in front of Jewish and non-Jewish bodies. Aharoni embraced Access Israel's activities, as they serve to aid his efforts to present Israel in a positive light, by focusing on daily successes and achievements rather than the conflict in the area. Access Israel CEO, Michal Ramon agreed with his sentiment and stated that Access Israel will gladly help in any way it can and is dedicated to share information with the world, to make sure that the levels of professionalism and innovation of Israeli accessibility are at their peak. 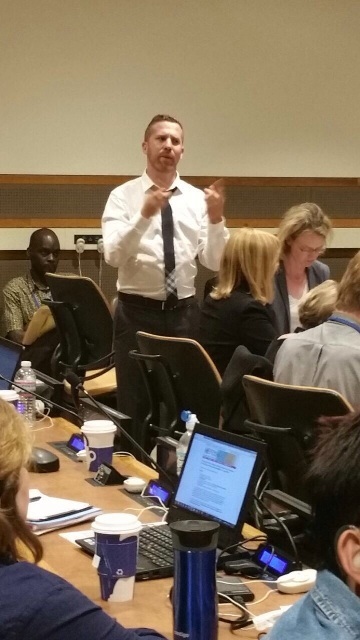 Furthermore, Ramon stated that along with many new and impressive accessibility solutions the delegation was exposed to in New York, The delegation witnessed a fair amount of instances where Israeli success and experience could benefit others in the field. 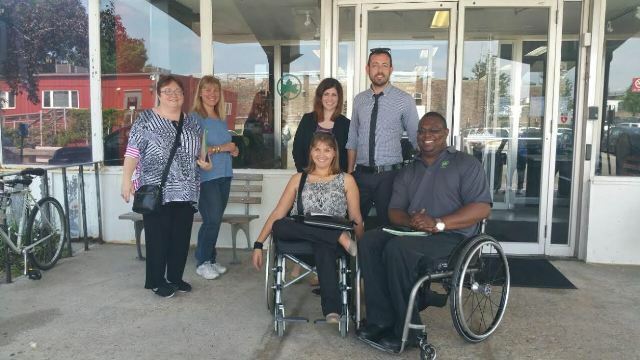 In addition to the events around the conference, The Access Israel delegation also gave a visit to local bodies that deal with day-to-day accessibility. 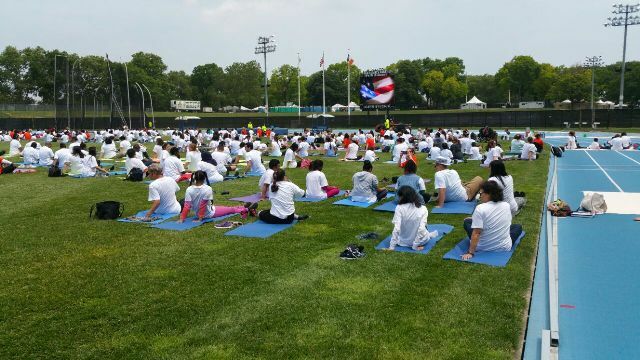 As such, the delegation was invited to a unique educational event that took place on Monday (June 8th) in Manhattan – an event summarizing a year of activity promoting a healthy lifestyle among children with special needs in public schools within the city. The delegation met with the head of special needs education in district 75, which includes all four quarters of NYC and has the most special needs students included in public education in the world. The delegation briefly presented its activity in the field of education and agreed on cooperating in order to promote inclusivity within public education systems. The meeting and visit led to a connection with Chris Noel, in charge of accessible parks in the city. On Tuesday (June 9th), the delegation was invited by Chris Noel to a public park planning discussion in Manhattan. Lawyer Orel Galoula Lapid and Or Cohen represented Access Israel in said discussion - After a long ride on the New York subway, examining (the few) accessible stations on the way, the two reached queens and met the team of architects and planners in charge of parks in all of New York's quarters. The team was glad to meet and share tips and ideas on making parks accessible, giving many great ideas for a similar process to take place back in Israel. The visit ended with much new knowledge and a few bright new friends overseas. Shortly after the discussion, the delegation headed towards a meeting at the MOMA (Museum of Modern Art), where it met with Francesca Rosenberg, Director of Community, Access, and School Programs of the museum. She shared her vast experience of making museums and art accessible. She also mentioned the importance of having qualified teams of crew members that can provide an accessible service and told of her great efforts on the matter as the law does not require accessible service the way it does in Israel. Access Israel focused on preparing the upcoming feast of senses, and despite the jet-lag and unending meetings – the members of the delegation represented Access Israel admirably in this prestigious position.